Back in 1984, a young, small and hungry band from Seattle was infusing heavy metal with progressive rock influences. Within the year, this band would be joining the ranks of Fate’s Warning and Savatage in this budding genre. That band would be Queensrÿche, a band that would go on to creature such progressive metal genre defining masterpieces as the seminal ‘Operation: Mindcrime’ and ‘Empire’. But before that, Queensrÿche would cut their teeth with their debut album ‘The Warning’. 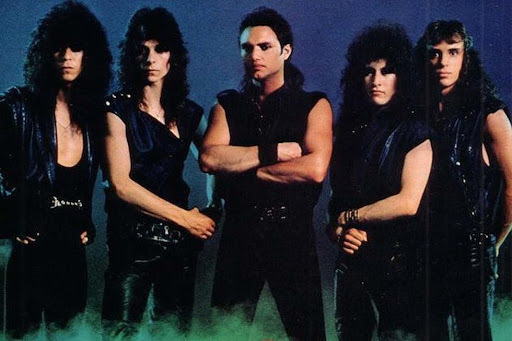 Fronted by the unique and instantly recognisable voice of Geoff Tate, Queensrÿche had already achieved some success on the back of their self-titled EP, but it was ‘The Warning’ which paved the way for the band to expand the music that it had been honing within the trenches of small venues. Unfortunately for Queensrÿche, the production for ‘The Warning’ was taken out of the hands of the band and thus it was mixed according to how the record company thought it should sound. However, this is not exactly a bad issue, in hindsight, ‘The Warning’ does not sound as bad as the band was initially disappointed with. Furthermore, it does showcase the youthful pipes of Tate and exactly what the vocalist is perfectly capable of, hitting notes that at times, only dogs can hear, all backed up with exquisite supporting vocals courtesy of Chris DeGarmo, Michael Wilton and Eddie Jackson. 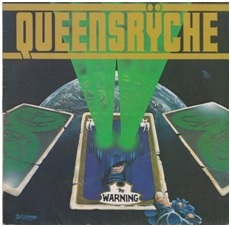 One of the best points of ‘The Warning’ is the ability to see exactly where Queensrÿche were heading, tracks such as ‘Deliverance’, ‘No Sanctuary’ and the hit single ‘Take Hold of the Flame’ laid the foundations for what would become ‘Operation: Mindcrime’, whereas the superb and best track on the album ‘NM 156’ could easily slide in alongside songs on ‘Empire’ with its exceptionally catchy odd-time signature verses. However, to compare ‘The Warning’ to two heavy metal masterpieces debases both albums and ‘The Warning’ is not without faults, the second half of the album falls particularly flat, whilst the ten minute ‘Road to Madness’ fails to make an impact and it would not be missed on the album had it not been there. Because of this, it is tracks such as ‘En Force’ which hold this album together and provide a clear picture of where Queensrÿche were heading as a band. Overall, it is often seen that it is equally as difficult to explore the band prior to their success as it is to explore their work in the 90’s and 2000’s. But what ‘The Warning’ shows is a young band that is under no obligations to anyone else but themselves, they are playing the music that they want to and because of this, ‘The Warning’ is thoroughly enjoyable.